I only discovered the true joy of a hot cross bun in my 20s. I’m sad now about all of the Easters where I shunned them, refusing to believe that anything filled with raisins could be remotely palatable. Then, I actually tried one and oh it was love at first bite. That aromatic spice, juicy fruit and a slathering of butter. Now, nothing says spring to me like a hot cross bun. 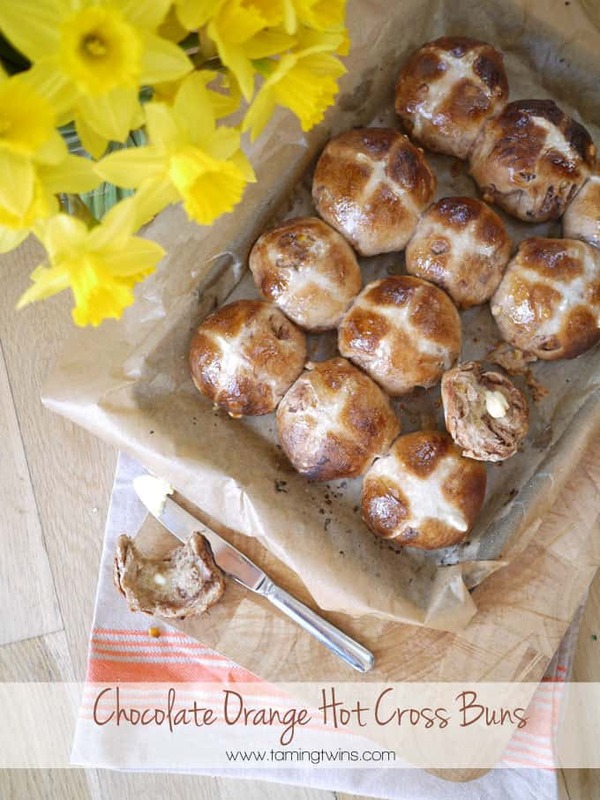 What’s better than a hot cross bun? A Chocolate Orange Hot Cross Bun, that’s what. Actually, that’s not entirely true. I’m not sure you can beat the original, but these are a super Easter treat. I haven’t made my own hot cross buns for years, then Waitrose got in touch to ask me what my ideal alternative flavour as they are running a competition to find alternative hot cross bun flavour ideas. (Find out how to enter below.) It spurred me on to come up with these and it was so much fun making them. Really not too time consuming, you just let them sit, happily basking on a sunny windowsill to rise. As you know I love Chocolate Orange (remember my Chocolate Orange Layer Cake recipe?) and if felt right to still include some fruit in my alternative flavour recipe, and so the Chocolate Orange Hot Cross Bun was born. So, hot cross fan or not? Traditional flavours or experimental? 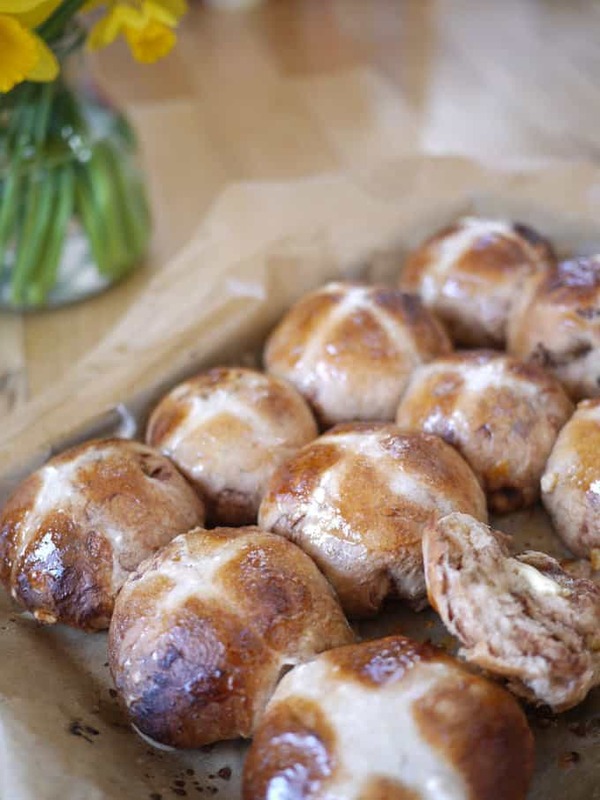 Waitrose are hosting a #WaitroseHotCrossBun competition which runs 14th – 20th March. The best one will be turned into a product that will hit the shelves next year! If you want to enter, simply share your idea for a Hot Cross Bun flavour on Waitrose’s social media channels Twitter, Instagram and Facebook using @Waitrose and the hashtag #WaitroseHotCrossBun. Find out more over at Waitrose Easter . Waitrose judges will narrow down the entries to a final three and then there’ll be a vote on social media to determine the winner. 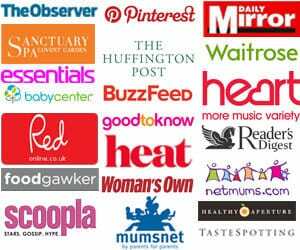 The top flavour will be announced by the end of May 2016 – first prize bags £500 Waitrose vouchers with the two runners up getting £100 Waitrose vouchers each. Good luck! 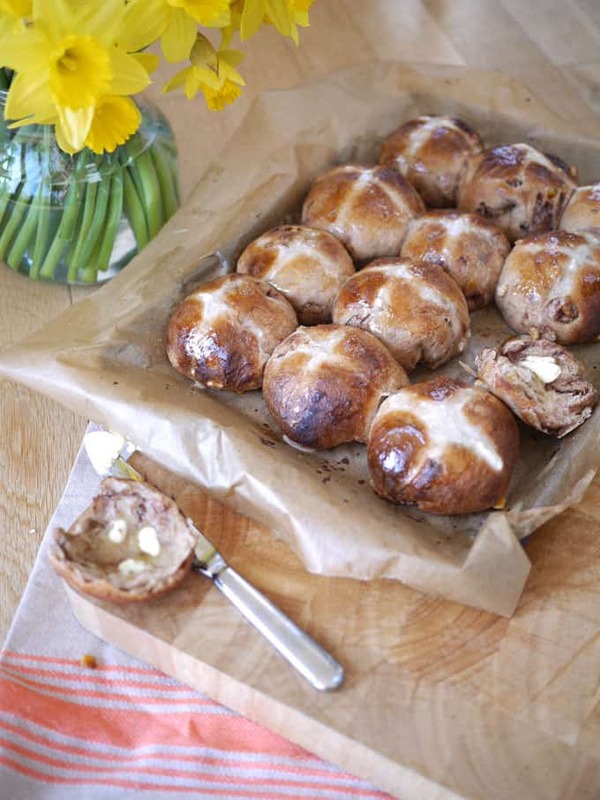 Chocolate Orange Hot Cross Bun - A delicious teatime treat for Easter, a twist on the original and a really fun bake over the spring holiday period. Heat the milk until it is hot but not boiling. Remove from the heat and stir in the butter. Put to one side and allow the butter to melt into the milk as the milk cools. Meanwhile, mix the flour, salt, yeast, mixed spice, cinnamon and sugar in a bowl. Add the candid peel and chopped chocolate and stir. When the milk and butter mixture is tepid, add the orange extract and pour it all into the flour mixture. Add in the beaten egg. Bring the mixture together to form a dough and turn out and knead for 5 minutes until springy. Place in a clean, oiled bowl and cover with oiled cling film. Allow to rise in a warm place for about 2 hours. After this time, the dough should have doubled in size. Portion it into 12 pieces and form into buns by stretching the edges of each one down and under using the edge of your hand, until they make neat, tight balls. Place onto an oiled baking tray. Cover again with the oiled clingfilm and allow to rise for 45 minutes in a warm place. Brush the buns with the milk. For the crosses, mix the flour with enough water to make a soft paste. Use a piping bag (or sandwich bag with the end snipped off) to pipe crosses onto each bun. Bake for 12 - 15 minutes until just turning dark brown. Whilst they are in the oven, put the caster sugar with 2 tbsp water into a small pan and warm until the sugar dissolves. When the buns come out of the oven, brush immediately with the sugar syrup. These are best eaten on the day they are made or frozen. Disclosure: This post is written in collaboration with Waitrose. These look so gorgeous! 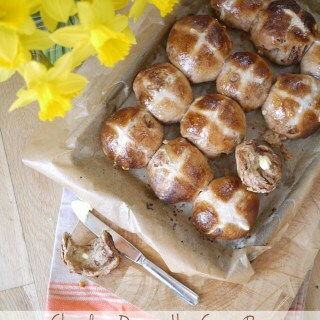 I am a hot cross bun addict and homemade ones are the best! Yum! This looks amazing!! I’m going to be making these, even though I’m gluten free, as my chocolate crazy family will love it. I hope yours wins and goes on the shelves as I want to buy them next year! !